National Black Police Association Endorses "March to Stop Executions"
The National Black Police Association has endorsed the 7th Annual March to Stop Executions. 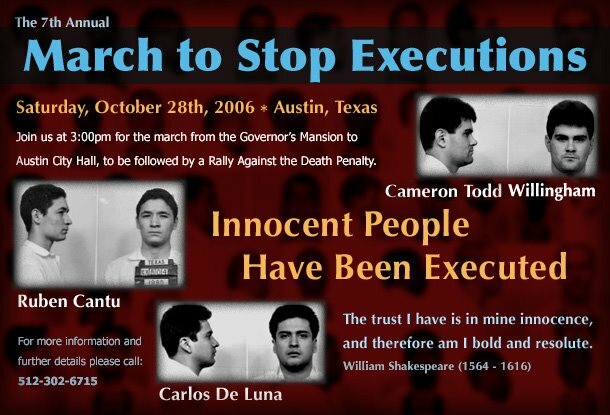 Join us in Austin on Oct. 28th to demand a Stop to All Executions! National Black Law Students Association, American Civil Liberties Union, Gray Panthers, peaceCenter, San Antonio, Dominican Sisters of Houston, Friends of Justice, TX CURE, S.H.A.P.E. 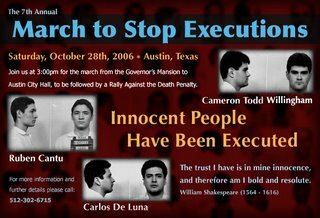 Center (Houston), National Black Police Association, Catholics Against Capital Punishment, Austin Center for Peace and Justice, Equal Justice USA. To become a sponsor or get involved, email us at: admin@texasmoratorium.org. Or call us at: 512-302-6715.